Need something to do today? Check out A Thing To Do Today in Lisbon. Here's A Thing To Do Tomorrow in Lisbon. Discover ideas for indoor and outdoor events and activities to see, do, visit and experience tomorrow for Lisbon. Have an adventure. Watch Lisbon's changing of the guard. 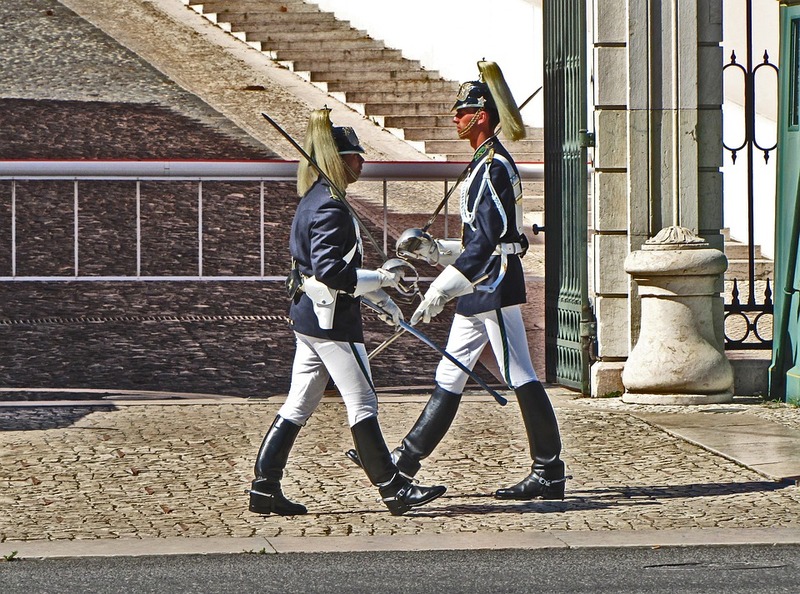 On the third Saturday of each month, the guards of the Palacio de Belém perform an elaborate changing ceremony. See their regimental regimentation in action at 11am. A Thing To Do Tomorrow generates things to do and places to go tomorrow, online and offline, this spring, for Lisbon and beyond - whether you're visiting Lisbon or a Lisbon resident. To see another thing to do, just reload the page. Find out more about the site, or for comments, suggestions, corrections, donations, or just to say hi, email john@athingtodotoday.com. Or check out social media @athingtodo.